I have to read every issue front to back, well not everything but I just enjoy this magazine and bonus issues, the app will sometimes make it hard to get the older issues but over all it very. Also I bought the special sale for the whole of back issues and the years in one package. If they offer that again it a no brainer buy it. The print quality and the contents are excellent which is why I bought the app subscription and it did not let me down. The articles have accompanying podcast which is great and I wish they could install this podcast for all articles not just a few in each issue. Also the special issues are great but not as interactive as the regular issues. When you want to download multiple issues simultaneously the queued issues may not sometimes download automatically but this won’t bother you. 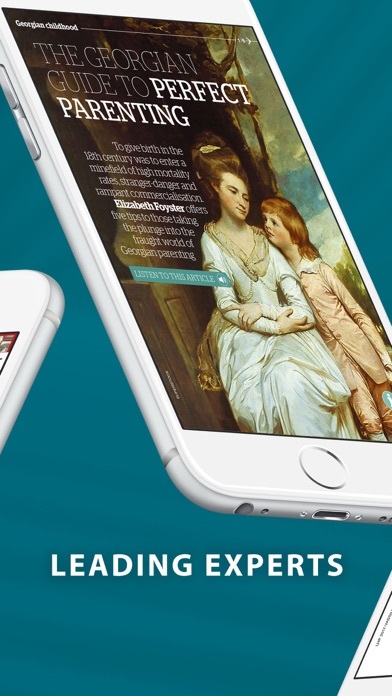 Overall excellent magazine with good app. 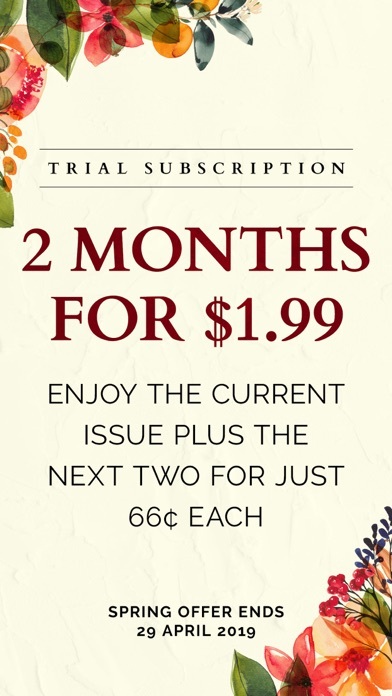 I got the trial subscription and will keep it, at least for a year. The content is interesting and well laid out, but I expected better. On the technical side, I really wish you included landscape mode as it’s really awkward holding an iPad in portrait mode. While I found the articles in the one issue I’ve read interesting, they’re pretty shallow. I read all of them in a little over an hour. I wish you included at least one article that was more like a meal than an appetizer. Needs to be updated for newer iPhones/landscape mode etc... only reason for 3 star reviews. 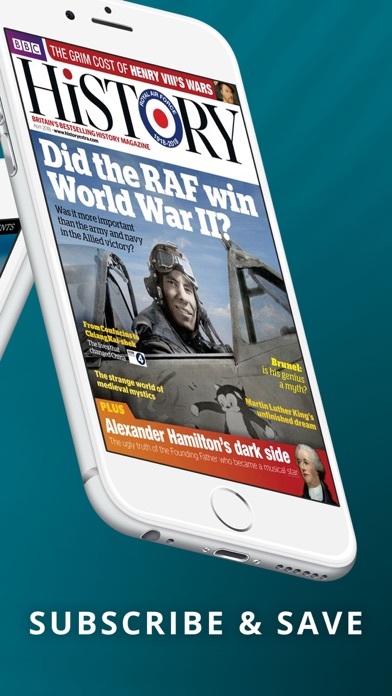 Love the service, used to receive the paper copies and was excited when I could get it on my iPad mini. App is a little wonky on my iPhone XS Max. Love this magazine.. 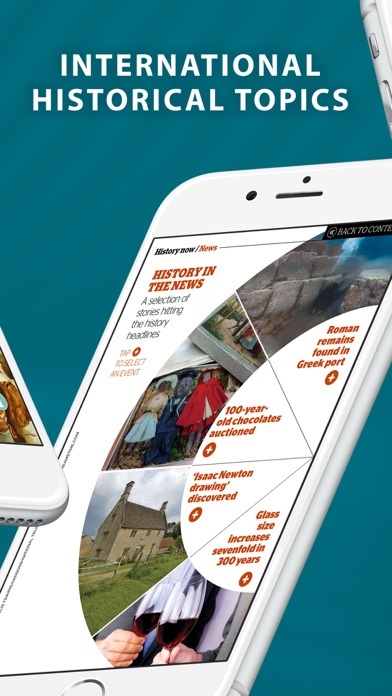 If you love history.. this magazine is for you App has quit working Cannot get to the magazine Fix this please PLEASE FIX THIS PROBLEM!!! AM FED UP Please FIX.. PLEASE FIX PLEASE FIX THIS PROBLEM!!!!!! Beautifully written and so much fun! I share this with my retired historian Mom.. the articles are well researched and very well written. 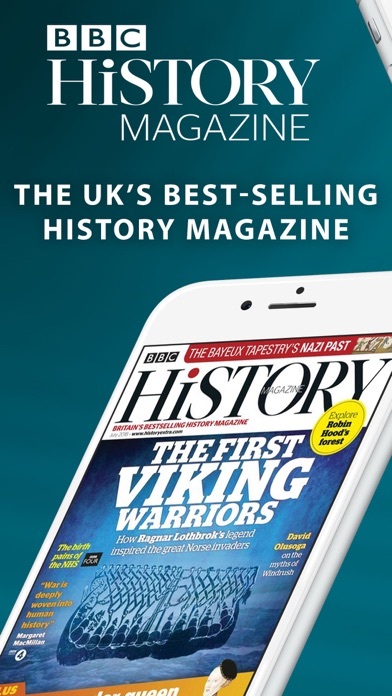 Best of the history magazines out there. Great reading app. Just a few tweaks to get a 5 star needed. Should be able to read in Landscape Mode and read as just text. App opens quickly. Easy to find the issues you own or to see list of regular or special editions. Images are HD quality on my iPad Pro even when blown up to maximum size. And magazines are wonderfully written and displayed. Easy to read, informative, well written and researched.